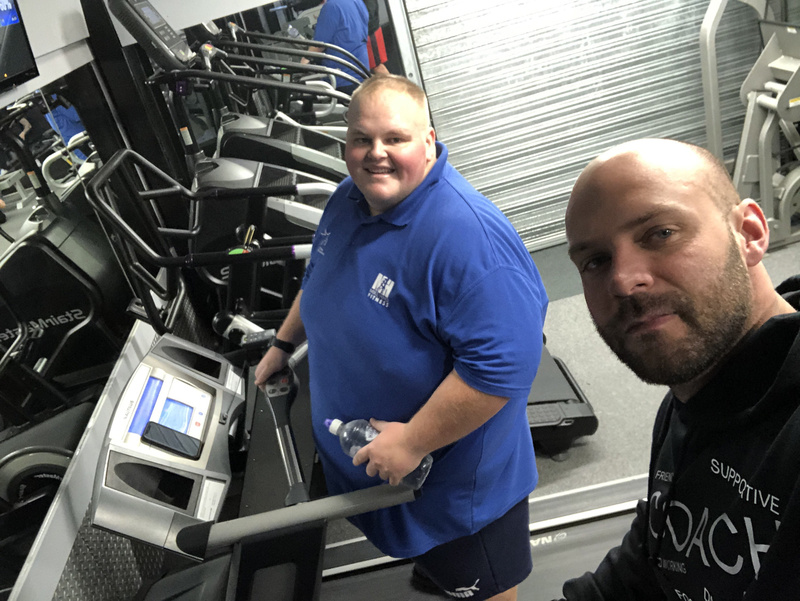 Darren 'Dibsy' McClintough completes his weight loss workout at MAS Body Gym with personal trainer Mike Hind (in white), in Teesside prior to his weightloss. Darren McClintock, 27 (R) with trainer, Mike Hind (L) pictured on the poster handed out to takeaways. 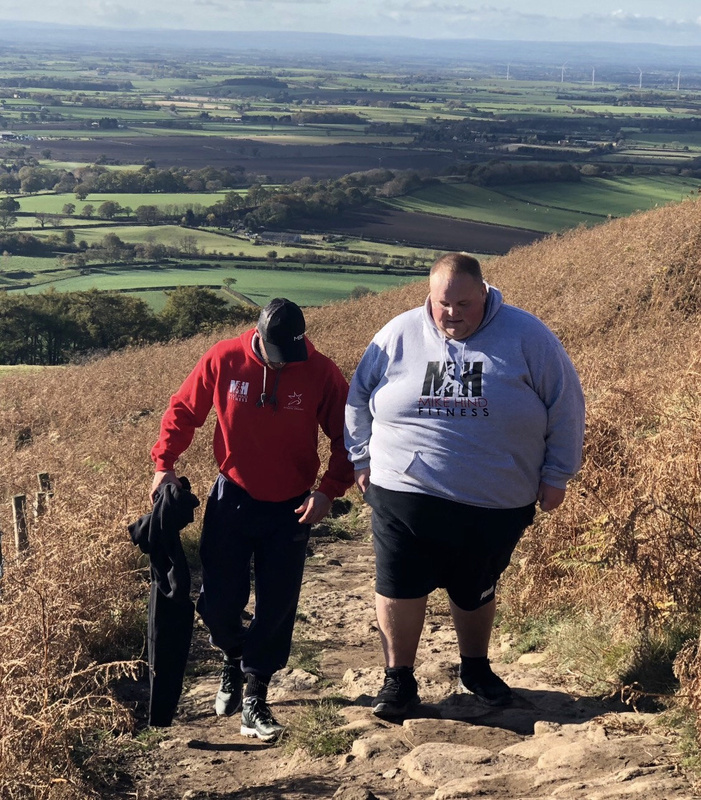 Darren McClintock, 27 with trainer, Mike Hind. 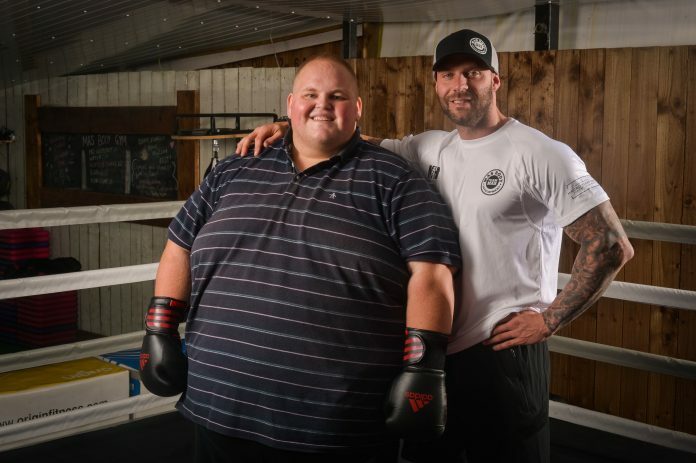 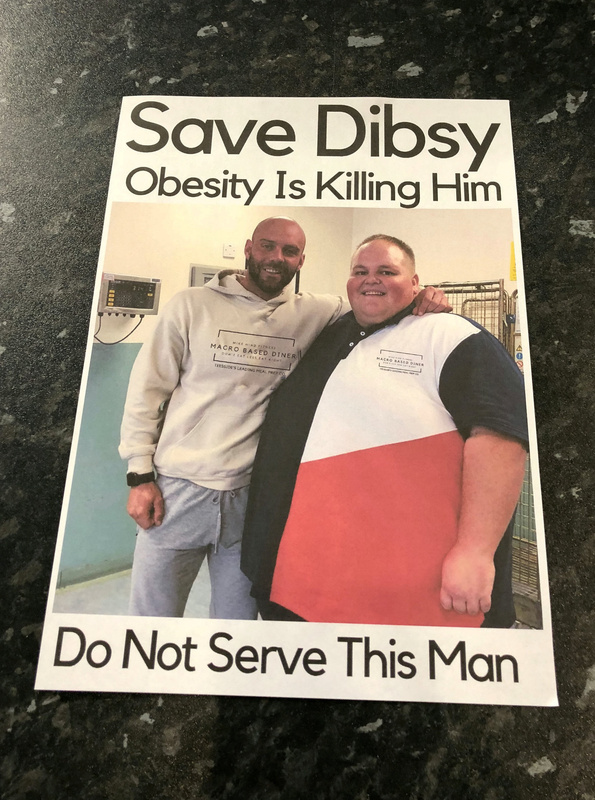 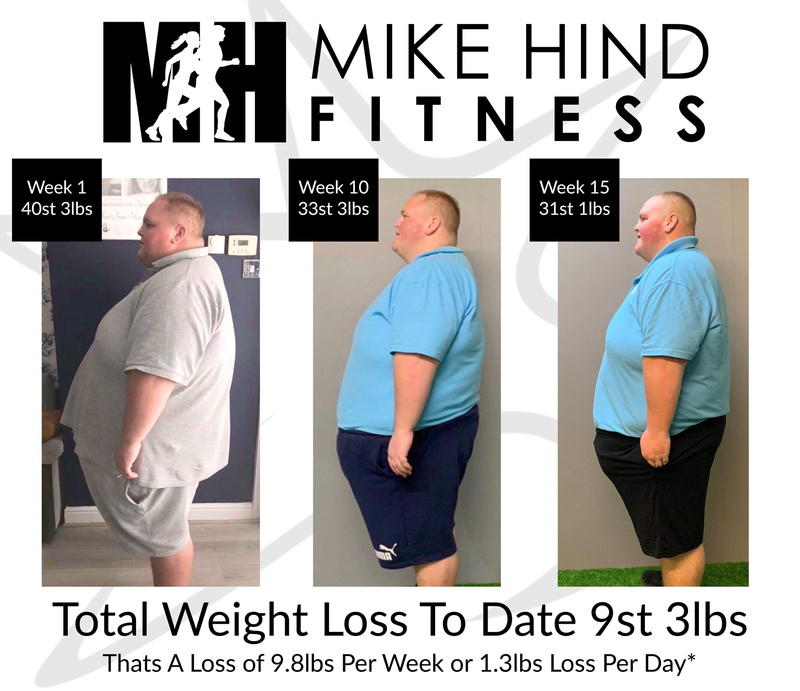 A morbidly obese junk food lover has lost a whopping 10 stone in just 15 weeks after being banned from his local takeaways.